"neartuit’s ability to gather and report on visitor paths and preferences at our opening event was a great example of applied analytics in action." The BCIT Centre of Excellence in Analytics (CEA) is a joint initiative between the School of Business and the School of Computing and Academic Studies to promote the field of analytics through education, applied research, industry projects, commercialization, and industry collaboration. 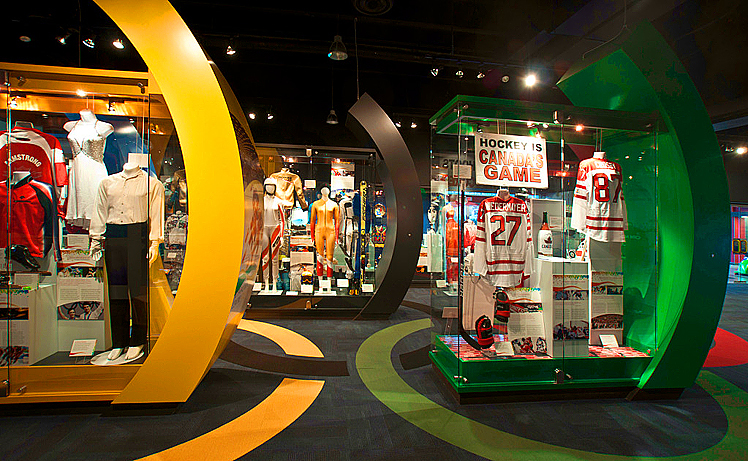 The grand opening event was held at the BC Sports Hall of Fame museum on November 24, 2014. BCIT wanted to provide guests at the opening event a way to have fun with sports analytics. Since the focus was industry collaboration, and visitors would have full access to the BC Sports Hall of Fame, they wanted to provide a technology example of the evolution of a student project that is ‘applied analytics in action’ that would suit a museum setting. While visitors used neartuit’s mobile app to learn more about the use of analytics in sports, path data was gathered as they moved from one iBeacon to the next. The results showed visitors preferences throughout the museum and confirmed that the iBeacon that led them to a chance to win a Canucks prize package was, as expected, one of the most visited displays!